You’ve got a personal relationship with money—and money is a part of your relationships with others. When you make it and how you divide it to who manages it and where you spend it. Issues of money, equitable division of labor and assets are central to the wellbeing of most relationships. This section is here to help you know your financial situation prior to entering into a relationship. We want you to how much money you have and where it’s located, but we also want you to understand your relationship with money more thoroughly. Here, you will explore the history you’ve had with money, the habits you’ve formed using it, the values you use to allocate it, and the goals you have that will need it. Clinical research shows that exploring your history with money can help you understand your current relationship with it. [i] Financial advisors also advocate understanding your history with money. [ii] This doesn’t mean full lying-on-the-couch psychotherapy, but it does require some reflection. 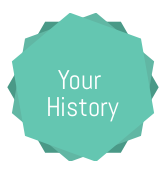 Use this worksheet to think about your financial history. Money discussions are rarely about just money: It’s about values—and what you want money to do for you. So what are your values? In the context of financial and relationship equality, your values are what guide your decisions, both big and small. Values are what’s important to you, what you cherish about yourself and your relation­ships with others. And yet, for some reason, we spend very little time thinking about our values. Use this worksheet to assess your values and goals. What’s your money personality? Are you a spender or a saver? Are you anxious or bold in your financial decisions? Carefree and spontaneous? What’s your risk tolerance and how much do you like to impress others with your spending? Use this worksheet to assess your habits and style. Now, does it all add up? After completing the worksheets above, think about how all this fits together: Are you living your values? If you’re like most people, you may find that your habits do not align with your values. You may want security, but you find that that the sale rack draws your attention each time you’re in Target or that when friends call, you’re always ready to spend money on the next adventure. Take some time to consider your core values and what specifically you’d spend or save to live out those values. Single, cohabiting, married, divorced or somewhere else along the way, take time to think about your financial accounts and legal documents for your future. Research the things that you may need now, including savings accounts, debt repayment, and health insurance. Gather information on the things you will need for the future, too, including retirement savings, life insurance, disability insurance, wills and living wills, durable power of attorney for healthcare, and a durable power of attorney for financial management. In addition, it’s a good idea to start thinking about what kinds of legal agreements you would want to have if you decide to live with or marry a partner, check out the section Before Cohabitation and Marriage to find out what to think about. Understand your history, values, goals, and habits involving money. Assess whether you are living (financially) in line with your goals. Redirect your spending habits to support your success. Set up financial accounts and legal documents to protect your future. Think about what kind of financial relationship you want to have with a future partner and how you would discuss these topics. [i] Shapiro, M. (2007). Money: A tool for couples theory. Family Process, 46, 279-291. [ii] Thakor, M. & Kedar, S. (2010). Getting financially naked. Adams Business, Adams Media: Avon, MA.